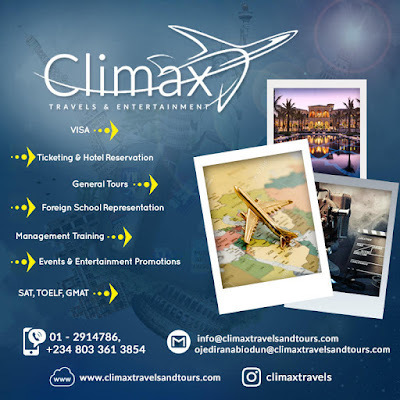 Climax Travels & Entertainment is an International travel agency that deals in VISA acquisition, Ticketing, and other paraphernalia concerning travelling. The company enables you to travel around the world with ease without the stressful process of queuing for visas and tickets. 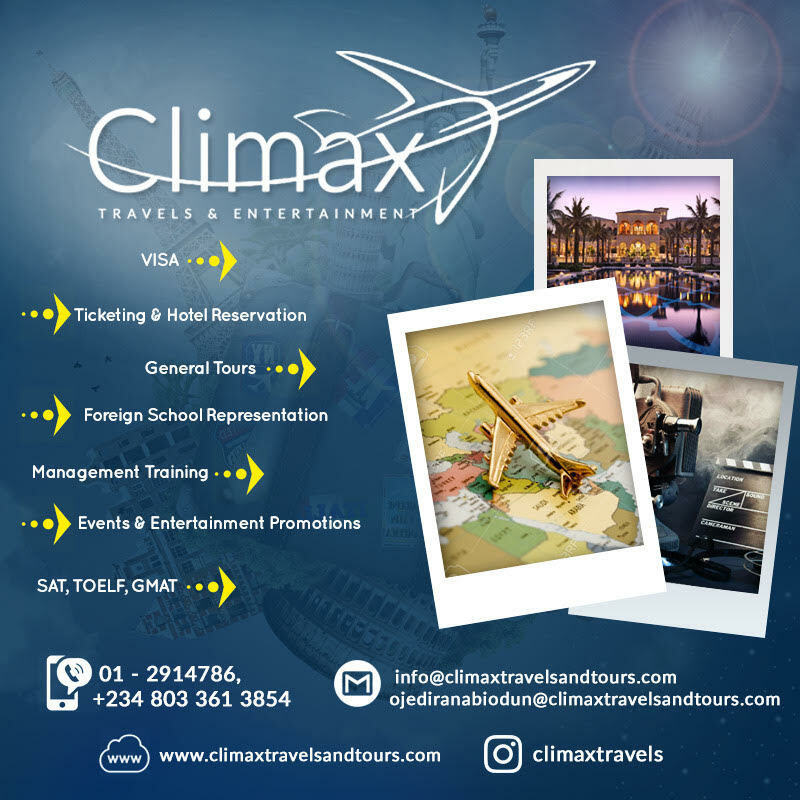 Climax Travels & Entertainment ensures accurate information in regards to VISAs, Ticket prices, Flight schedule, Hotel Reservation, Rental services etc. The magnificent company also has an entertainment outfit that aids in facilitating musical Tours for artists (like 9ice, Q Dot, Skaliey Mental, KayDex, Small Doctor to mention a few) abroad to any country. With the establishment of the entertainment outfit, Artists can easily go on tour to any country of their choice easily.